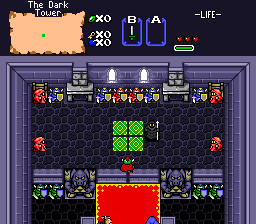 This is the New BS tileset v3.0, the third incarnation of the BS Zelda tile collection which is so well-known to Zelda Classic users. 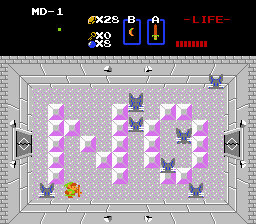 "BS Legend of Zelda" was a little-known Japanese downloadable game released in 1995 on a system that never made it to America, called the Broadcast Satellaview. 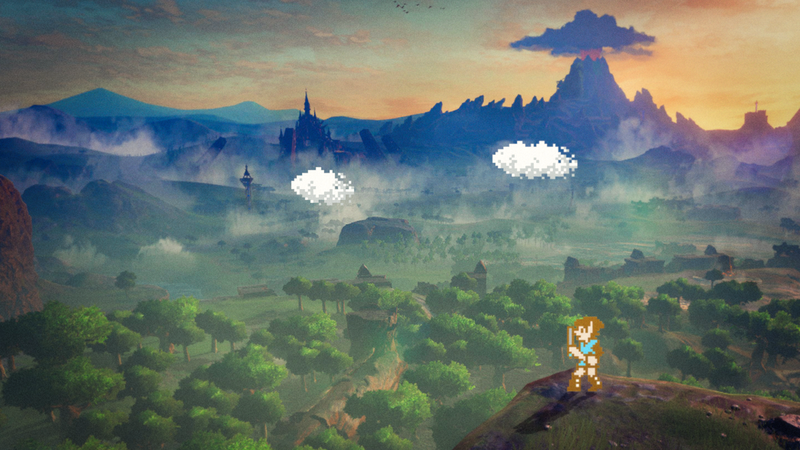 It was a variation on the original Legend of Zelda, updated with SNES-quality graphics and animation. 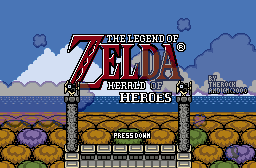 Eventually, fans converted it to a ROM so it could be played on SNES emulators. Two well-known members of the ZC community -- Phantom Menace and VEL (a.k.a. Valerie) -- ripped most of the graphics from the game and turned it into a tileset. Some time after, I picked up the project, and what you see is the end result. 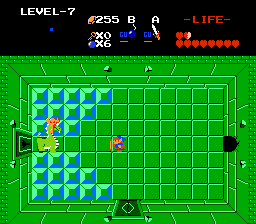 Since it is based on the original Legend of Zelda, BS Zelda's graphics were mostly limited to the basic elements. 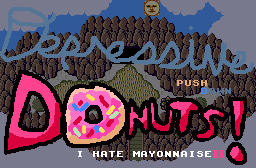 This makes it ideal as a beginner's tileset, because it looks better than the default Classic tileset, but doesn't contain as many tiles to sift through as most of the other SNES-quality tilesets. Additionally, the New BS tileset is unique in that it supports the older ZC features as well as most of the features available up through version 1.92. In short, you can use it the old way, or you can use it the advanced way. For a full list of the update history of the tileset, please check the zip file. 1. 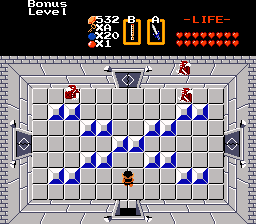 Make sure you are using Zelda Classic version 1.92 or higher. 2. Download the tileset's zip file and extract the files. 3. Choose which quest you want to start with as a template: 1st or 2nd Quest. 5. Open the corresponding QST file. 1. Open your quest project in progress. It'd be good to back it up before upgrading. 2. Export the following elements: MAPS, DMAPS, STRING TABLE. 3. Follow the steps for "starting from scratch." 4. Import everything you exported into the new tileset file. 5. Check for inconsistencies and determine whether the upgrade was successful enough to keep. You may have to make some minor corrections. 2. 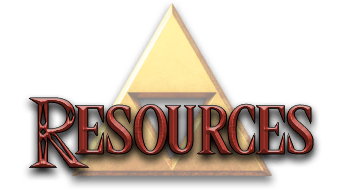 Place the QST file(s) in your default Zelda Classic directory. 3. Open zelda.exe or zelda-w.exe. 4. Create a new save file. 5. Move the cursor over the save file and press the A button twice (default is the left Alt key). 6. Select either the 1st Quest or 2nd Quest that was included in the New BS download file. 7. Open it. 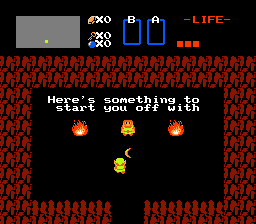 If a BS-style Link icon appears, press the Start button to begin. After looking over version 2.6 of this tileset carefully, I decided there is no reason to keep it available in the database. It was merely perpetuating some bothersome bugs and flaws which were fixed in version 3.1. Version 2.6 is no longer up for download; I encourage you to use version 3.1 instead. If this causes you problems, please PM me and I'll help you out. 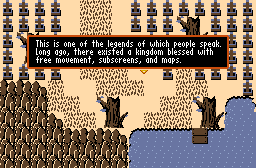 Sludge (resized LTTP tiles), WildBill (original compiler of Pure), PrinceMSC (general tiles), plith (Descendant tileset), BigJoe (remake of Classic dungeon entrance), GlenntheGreat (GBC tileset), Mr. Z (most recent versions of Pure), and others. If you created something in Pure which made its way into this tileset, and want more specific credit, please PM me to get your name added here. and thanks to Hypercrash for providing various sprites, including rips of the BS mascots. Thanks, also, to Nintendo and affiliates for BS Zelda, and the programmers who worked to bring an emulated version of it to our screens. And lastly, thanks to the PureZC community for their continued interest and encouragement.